Sneakerheads are a die-hard breed, loyal to-the-death to their favorite brands. Ask any sneakerhead about their collection and they’ll tell you about the 20 pairs of Jordans or Air Maxs they have, but, despite their allegiance to the major players, they’ll also likely tell you about the one-offs and the independents in their collection. 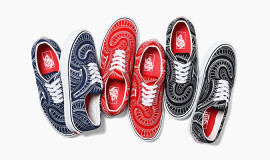 The sneaker game today is changing, in search of something new, and no one is better positioned to make a power play than SoCal’s own independent shoe brand Radii. 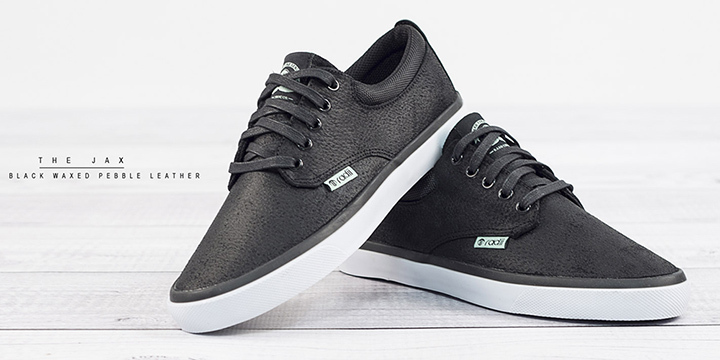 Founded by Casey Arisohn and his business partners back in 2008, Radii continues to grow by leaps and bounds each season thanks to the brand’s driving focus on quality and uniqueness, and Casey’s unbridled passion for footwear. We visited Radii‘s headquarters in Chino and chopped it up with Casey about starting the brand in an industry of majors, what makes Radii unique, and what’s next for this fast-moving footwear brand. Check out the interview video and read the whole conversation below. WHAT GOT YOU STARTED IN FOOTWEAR? I’ve been in this business since I was 16. I grew up in Orange County, sort of Action Sports central, so that’s kind of been my history. It’s kind of funny how I’ve transitioned to a more street lifestyle, but it happens a lot with that skate culture. Ever since I was a little kid I’ve always been a sneaker head. I remember the first real flagrant pair of shoes I had was a pair of purple Vans I bought for the first day of school in sixth grade. My entire life, it’s always been about shoes. When I was 16, I started working at a surf shop in Huntington Beach. I became the shoe buyer within a year. Basically I was the buyer for footwear for a couple of different retailers for 10 years of my life. I bought watches, sandals, I’ve done it all, but footwear has always been my passion. The opportunity came to start my own brand and I jumped at it. It’s been a roller coaster but it’s been fun. HOW WAS THE TRANSITION FROM WORKING ON THE RETAIL SIDE OF THINGS AS A BUYER, TO OWNING A BRAND? Honestly, the transition from retail to the actual footwear, it’s the same exact business. Really when you look at it at a macro scale, before I was ‘buying’ other peoples’ product to feed to my consumers who were in the stores; now, I’m creating my own product that I’m feeding to the retailers, they’re my consumers now. I’m still ‘buying’ but now I’m developing and creating styles for a consumer. It’s gone to more of a larger scale. Before, when I was planning my assortment as a buyer we’d ask ‘what do we need’, looking at the trends, price points, quantities. It’s the same exact thing with Radii, we look at the materials, the trends, what price points we need to hit. It’s really the best approach for anyone I think, a lot of people jump from retail to the brand side, it’s the education. 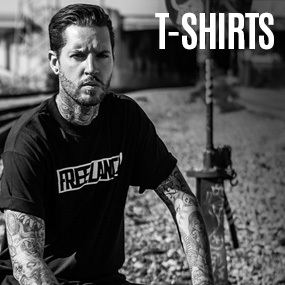 A lot of people can start a t-shirt brand because they have style but they lack the business sense. I may not be the most creative person, I employ people that are better than me. But my partners and I have the business sense, we’ve got a combined 30 years of experience. WHAT WAS THE BIGGEST CHALLENGE STARTING AN INDEPENDENT FOOTWEAR BRAND IN AN INDUSTRY DOMINATED BY MAJORS? 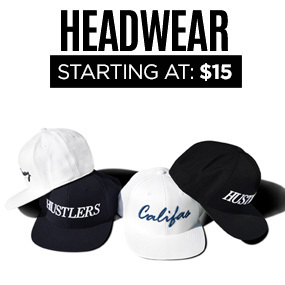 The biggest challenge for a footwear brand, in general, is that it’s not a t-shirt company; you need money. Big risk, big reward, but you’re spending a lot of money. Because we had so much experience going into it, we like to think our risk was probably lower on that. But I mean, you want to start a shoe company, you’re looking at half a million to a million dollars just to start. That’s why there aren’t many brands that start like this. It’s a tough market. Capital is definitely the number one thing. Then you have dealing China, it’s foreign in every way. 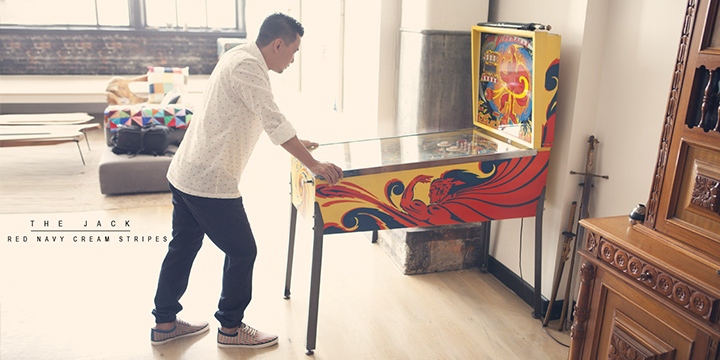 If you haven’t dealt with manufacturers in China, it’s a whole other ball game. Their mentality, the way they think, how they do things, that takes time to learn, if you weren’t in the business already. With the competition, when we entered the market there was a need for something new. Everybody wanted ‘the next thing’, they didn’t want the major stuff. At this point, today it’s very much a major and heritage driven market but for me, it’s always been my focus to make good product. You make good product, it will sell itself. You need the marketing, and that’s kind of where we’re now for the next two years we’re putting all our resources into the marketing and the branding. Bottom line is, the reason we’ve been around this long is that we make product that people want. YOU’VE MENTIONED THE BUSINESS EXPERIENCE, CAPITAL INVESTMENT, ANY OTHER KEYS TO YOUR SUCCESS? Key to the success is just passion. This is something I live for, I don’t ‘work’ a day in my life. There’s nothing I don’t love about this. I mean, sure there are things I don’t love, but just about running an overall business. Everyone’s got their strengths and weaknesses. But the actual creative side and what I’m good at, I love it all. I was just having a conversation with another buddy in business, and you’ll hear it from anyone that you can never get comfortable. The second you get comfortable is the second you lose everything. I work out of an office, I could work from home but I don’t function that way. I want to come here and work hard. As soon as I start to sleep in, because I can, I don’t. I’m usually here between 6:30 or 8:30 every morning. As soon as you get comfortable you lose it all. 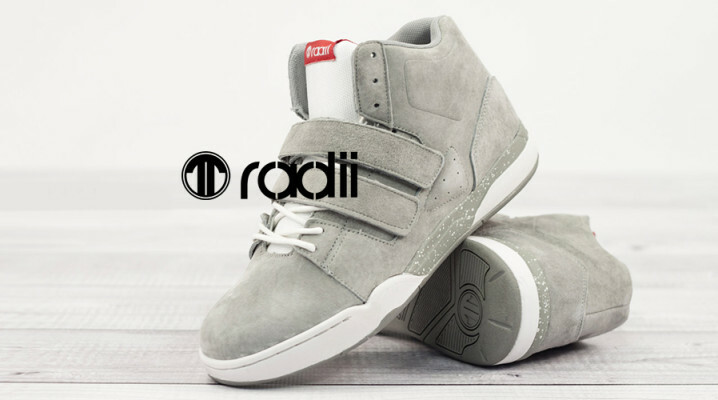 YOU’VE BEEN IN THE GAME WITH RADII FOR SIX YEARS NOW, ANYTHING YOU’D DO DIFFERENTLY? It’s not necessarily ‘differently’, but if I lived it again I’d have more experience. Creating a brand is not what I’m strongest at, I’m a product person, I’m a sales person. There were things I wasn’t able to capitalize on because of my weaknesses or because I was overloaded. You learn from your mistakes. There were probably things I could have done, but we’re in a good place right now, so everything happens for a reason. I wouldn’t go back and do anything different. WHAT’S ONE THING EVERY PAIR OF RADIIS DELIVER ON? A sense of uniqueness. I mean it’s always been about, whether materials or styles, making good product. 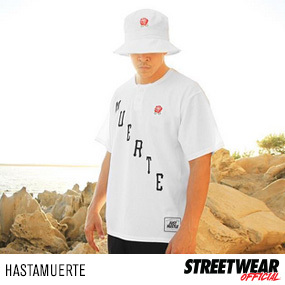 We did some limited capsule stuff, some black oxford shoes. This is a black dress shoe and everyone who wore them would get stopped. People would come back and say ‘I’ve never had so many people comment on my shoes’, and it was just a black pair of shoes. But there’s something about what we do, that we try to put into each one of our shoes that’s unique. Whether it’s a black pair of shoes you think seem basic, or something crazy and wild, this material you’ve never seen, people are gonna be like ‘Wow! Those are crazy!’. We’re about expressing your uniqueness. EVERY SEASON YOU GUYS HAVE BECOME STRONGER AND STRONGER WITH MORE NEW PRODUCTS, DIFFERENT FABRICS AND PRINTS, HOW DO THE NEW COLLECTIONS COME TOGETHER? For me personally, I look to history for a lot of inspiration. You know, fashion works in 20 year increments, 7 year increments. 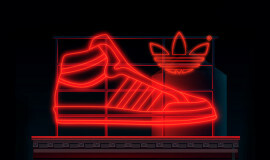 That’s why you see a lot of the ’90s coming back, ’80s before with neon. So, I look to history a lot for inspiration. So we start there and then, just having the right people with us, we work on a standard timeline for the footwear industry. Right now, we’re designing for Fall 2015. We have many many conversations, we know what’s coming, we have discussions with our PR marketing, photoshoots, to plan what we want to do and how we want to do it. If you want to be successful in this business it’s all about planning. There’s nothing I ever really have to rush, if you plan right, you can have things come in early, but you never should be rushing as long as you’re able to plan accordingly. We’re just always trying to evolve, new styles, better quality. We’re always trying to get better, and as we grow we’re going to learn more and get better. Each piece we build up until we’ve reached the top, and that’s where we feel we’ll be a more complete brand than we ever have in the next few years. WHERE ELSE DO YOU GUYS DRAW INSPIRATION FROM, TRAVELING, CULTURE? I travel the world for that reason, wherever my distributors are. I go to Europe and all over Asia at least twice a year. I go there for that discovery. You have to see how the different cultures are. The South of Europe, Spain, Italy, France, it’s a whole different culture. Italy, more than anyone, people are wearing $300 shoes over there and everyone’s got a pair. That never happens here in the United States. They’ll pay $120 for a shoe. We might buy a pair of Vans for $40 but they don’t want that. They want the quality and they’ll pay it. Their mentality is so different. Traveling really introduces you to your customers. I have to know what my customers are looking for to inform the designs. France is very urban and has a major urban street following and I never would have known that before going there. I get tons of inspiration from that. YOU GUYS JUST RELEASED A CAPSULE COLLECTION WITH LA’S ORIGINAL CHUCK AND YOU’VE PREVIOUSLY COLLABORATED WITH LA GRAFF LEGENDS CONART. WHAT DO YOU LOOK FOR IN A COLLABORATOR? We look at who’s going to make sense for us. Obviously we’re known for our color, and our materials, and our fun-ness. It’s not going to make sense for us to do something with a brand that only has black and white. Chuck Originals is very similar to ours. It’s very fun, they’re using a lot of different materials. CONART is graffiti art, it’s the street scene that has a lot of the same history and people that wore CONART, obviously from LA, that we kind of have in our customers. Just friends too. You know my friends at IMKING, I’ve known them for 5 or 6 years and we just said ‘hey let’s do something’, and we’ve done two collaborations. It’s very easy, within minutes we’ve got the shoe designed and sent out. We want to find somebody that fits who we are as a brand, someone unique to us. We like to have fun so we’re looking for like-minded people. We’re not trying to be the cool guys on the street that don’t talk to people, we like to have fun, and an expression. 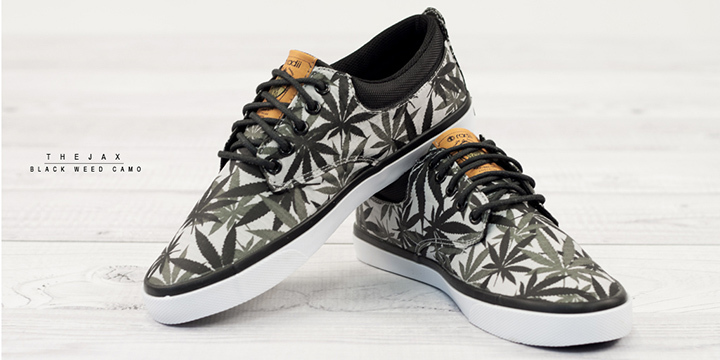 WHAT’S YOUR FAVORITE PAIR IN THE NEW COLLECTION? These are like my babies. First of all, I’m the wrong person to talk to because I look at all the shoes as art, I would hang them on my walls. Also, you guys are just seeing the Spring ’14 stuff and I’ve already been seeing these for a year and a half, so it’s very much old to me. That said, I really liked the Birds Of Paradise stuff we’re doing, kind of a play on Givenchy’s stuff. I like all the fun stuff. We’re using a lot of premium materials now. I’m also looking at it as an engineer and designer. I like how the materials we’re using are rich, like the Wolverine leathers we use that has been around for almost 100 years. Our SJV2 is one of my favorites. They’re all like my kids. I wear mostly just black though, black on black on black haha. WHAT’S YOUR ALL-TIME FAVORITE PAIR OF KICKS? I mean you go to the Holy Grail, to the Jordans. For me, I grew up with the Jordan 5s, I really like the Jordan 4s. I mean, Jordan 11s are probably the all-times even though I don’t own a pair. Air Max 90s some of my favorite ones, 95s. But it always changes too. Those are like classic all-time favorites, but it’s always changing. ANY NEW TECHNOLOGY OR FITS YOU’RE WORKING ON? 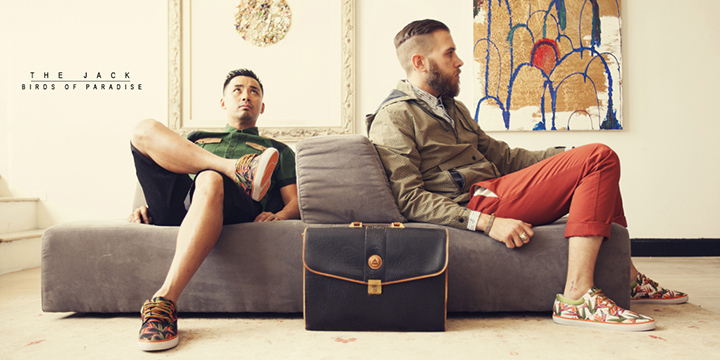 We’re just really getting back to our roots: we’re a sneaker brand. We love to make great shoes. We wear so many different things here in Southern California. You can wear a pair of nice oxfords out one night on the town and then wear sneakers with a suit to a wedding, but we’re focusing our brand on more of what we are: sneakers. Some of the stuff we have coming out is more higher fashion, streamlined, European-styled sneakers. We’ve got some revamps on some old styles that I think are going to be really good, our Moonwalkers, our 420 top, and our Stranglers. They were some of our most popular styles to date. We’re re-doing those, giving them a higher fashion look, more premium materials. They should be out in 2015. And then just, I’m really backing our Phuket runners right now. All our runners are named after Asian cities. We’ve got really fun colors and materials. The spring stuff was really basic and now the new stuff is really fun and more athletic looking. LASTLY, WHAT WOULD YOU LIKE TO SAY TO RADII FANS OUT THERE? Just keep supporting us. We’re stoked on all the support we get from you guys. Most people that wear Radiis have 15 or 20 pairs. We’re going to continue to push the envelope and make better product. 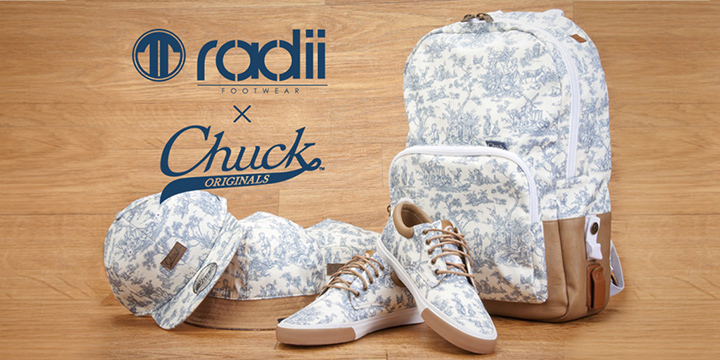 Keep asking local retailers where you can get your Radii at. 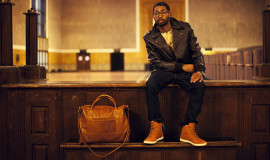 Check out Radii.com and follow the brand on Facebook, Twitter, and Instagram! Peace to the homie Dre Sandoval for shooting and editing this video.